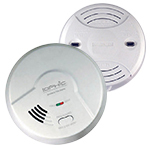 The perfect replacement for existing Universal Security Instruments Alarms, this USI 10 Year Tamper Proof Alarm features a large mounting base to cover imperfections in drywall and the option to replace retrofitting applications. 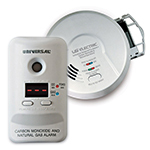 The quick deactivation key switches the alarm off and makes the batteries safe for disposal. 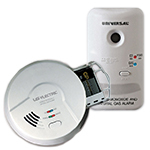 Once the alarm is deactivated, the tamper resistant feature turns on to prevent deactivated alarms from being reinstalled. Product Dimensions (W x H x D): 5.75 x 5.75 x 1.75 in. Well thought of product with a long life.